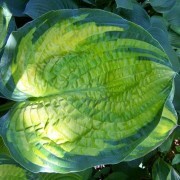 Large: Enormous, rounded leaves over 14″ long are medium green with a variable, narrow yellow margin. 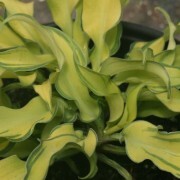 The glossy foliage has very good substance and develops somewhat wavy edges. 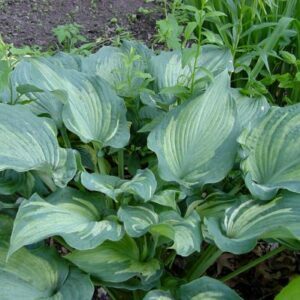 Hosta ‘Gunther’s Rim’ thrives in the sun and grows into a massive clump to 3 feet tall and 6 feet across.Tall scapes of pale lavender flowers in mid to late summer. 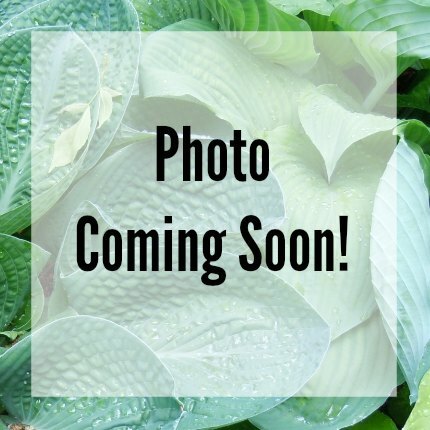 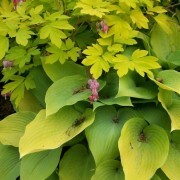 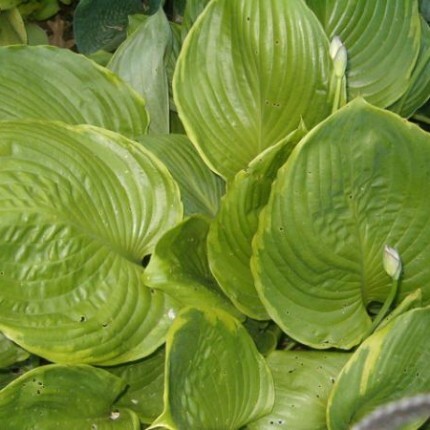 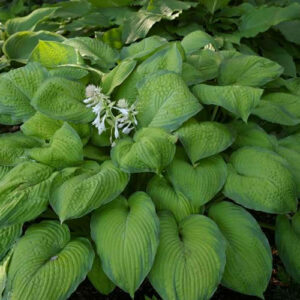 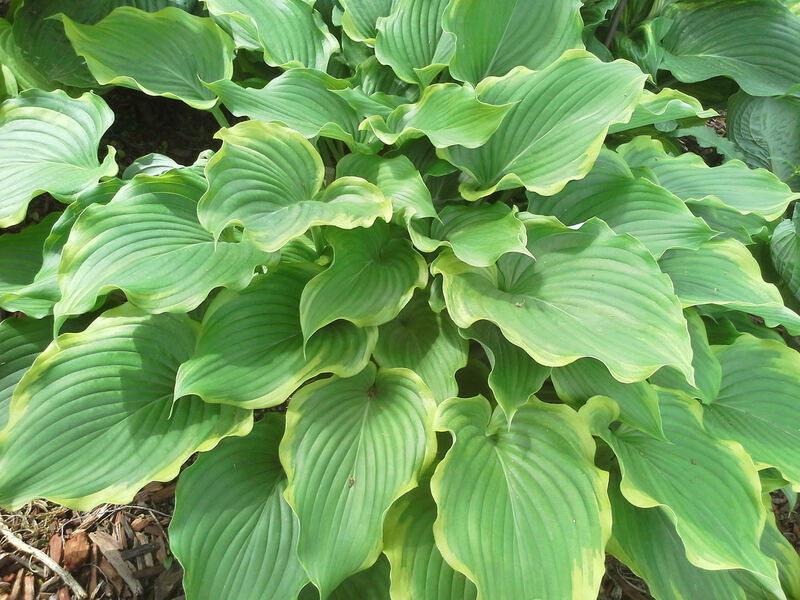 Gunthers Rim Hosta – Enormous, rounded leaves over 14″ long are medium green with a variable, narrow yellow margin. 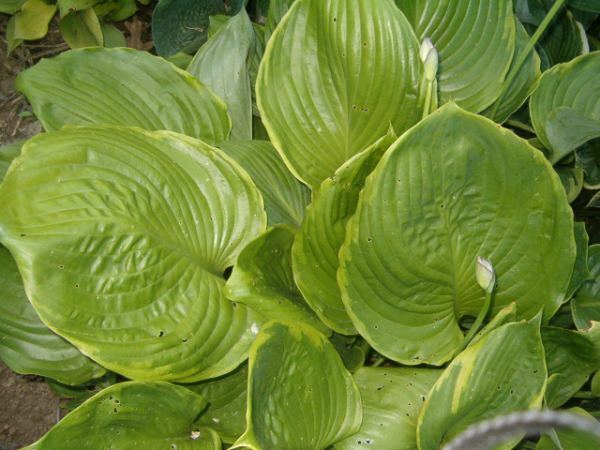 The glossy foliage has very good substance and develops somewhat wavy edges. 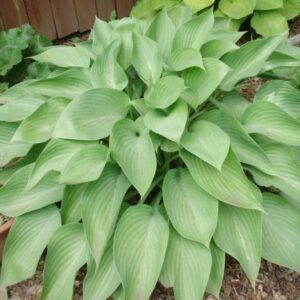 Hosta ‘Gunther’s Rim’ thrives in the sun and grows into a massive clump to 3 feet tall and 6 feet across.Tall scapes of pale lavender flowers in mid to late summer.